We’re now officially less than one month away before Battle for Azeroth is released! 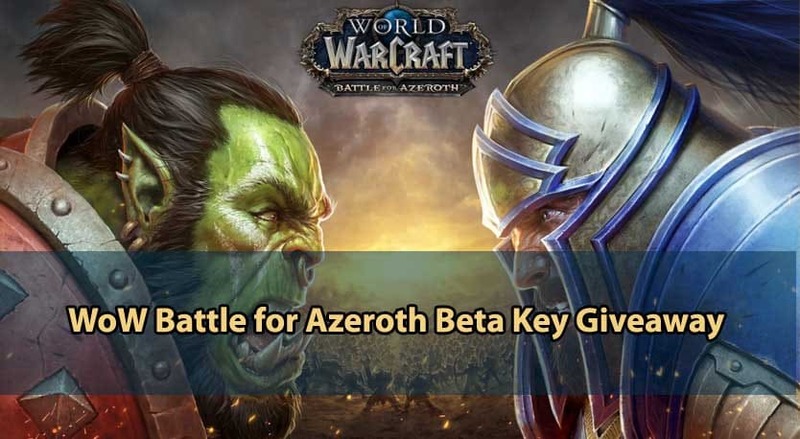 With that in mind, and considering the recent WoW account share and boosting ban wave, we’re offering a giveaway for 1 WoW Battle for Azeroth Beta Key, so you can take your mind off of the current ban wave, and test out the new content! So, let’s get to the actual giveaway! Refer your friends for 15 points. The giveaway raffle will take place as of today, July 16, 2018, and it will end on July 20, 2018, at 11:59 PM (Pacific Time (US & Canada)). The winner will be picked randomly, but needless to say, the more points you accumulate in the raffle, the more chances you have to win! The key will have to be redeemed through the Battle.net Claim Code link. The winner will also be notified via email after the draw, with the prize along with instructions on how to redeem it. PLEASE ALSO CHECK YOUR SPAM FOLDER! Best of luck to everyone and let the raffle begin! Winning would be a good excuse so I can reactivate my account and get back into the game.